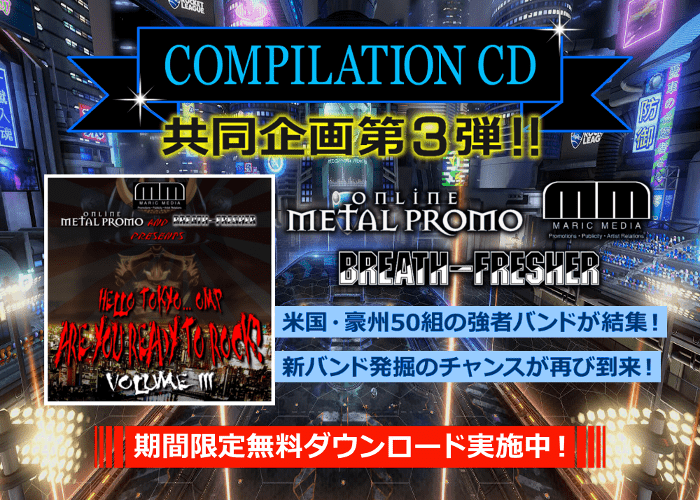 We are happy to announce that BREATH-FRESHER teamed again with ONLINE METAL PROMO from the USA and MARIC MEDIA from Australia and will release the compilation CD Volume III on October 30th. 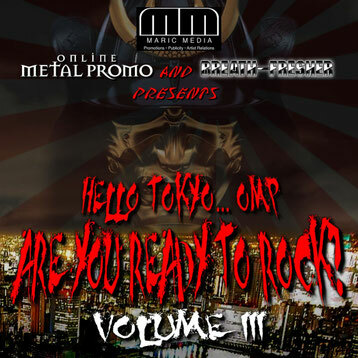 It features over 50 bands from the USA and Australia in the genre of Hard Rock and Heavy Metal. FREE DOWNLOAD is now available here. You sure will find some bands you've never known ever. The 53 bands featured on the compilation are the following. Due to the limitation of permissible capacity on this site, it's divided into 6 groups for download.